All we want for Christmas (and every other gift-related holiday). Ah yes, winter. It is freezing, the sky is gray, and the falling snow is rapidly accumulating to the point where you are trapped indoors—it's perfect :'). Now, you have a valid excuse for staying in, wrapping up in your favorite blanket, and reading a good book all day. If that sounds like a dream snow day to you, or perhaps sounds like something your friend dreams about, then this list should be helpful in finding a thoughtful and well-appreciated Christmas gift. Or Birthday gift. Or Valentines Day gift. Or a gift for any day, really. One of many book designs to choose from. I found this website a few years ago and it just keeps growing! 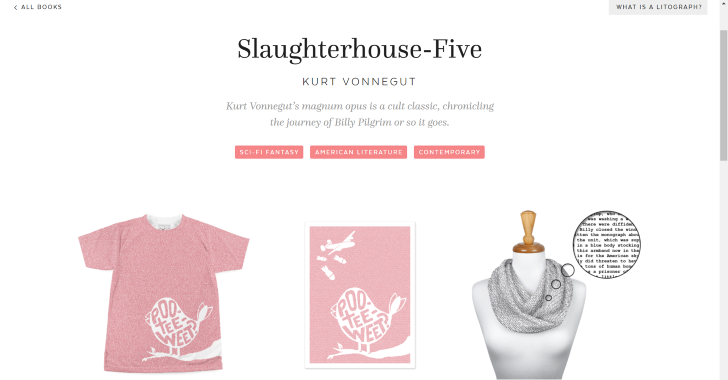 From posters, t-shirts, and more, Litographs offers unique designs made up of the entire text of your favorite book. They add new books to their collection all the time as well as new merchandise to get those book designs printed on to. Recently, they've started offering blankets and pillows which would be a dream to cuddle up with this winter (while reading, of course). I don't really remember how I came across this candle brand, but I've been following them on Instagram for a while now. 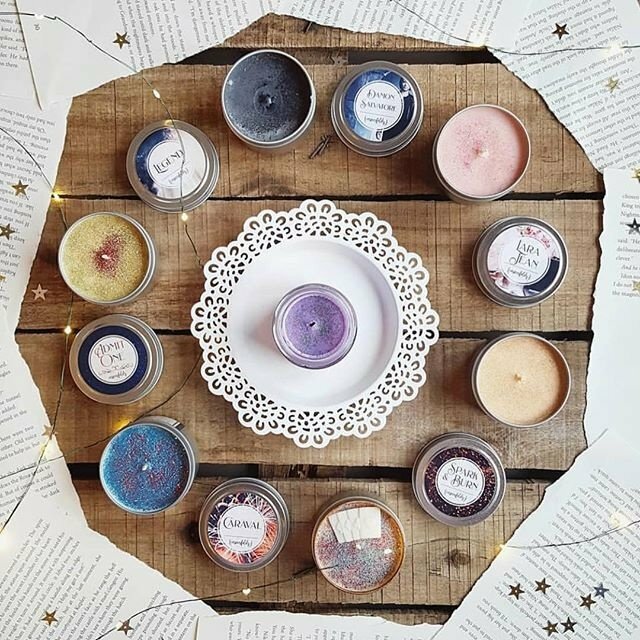 They offer a wide range of candles from ones based off of books and book characters to even movies and TV shows. Honestly, I haven't purchased a candle from this business before, but their Etsy shop has extremely high ratings, so I'm confident any pick will be well worth the buy. And, for those who like to shop small, these candles are all handmade in Florida! Who doesn't love a super pretty pin? Even if you or your friend doesn't avidly collect pins, it's still cute to have one or two you really like to put on your backpack or purse. It's the perfect way to subtly personalize something or add to your growing collection while also showing off your love of reading. 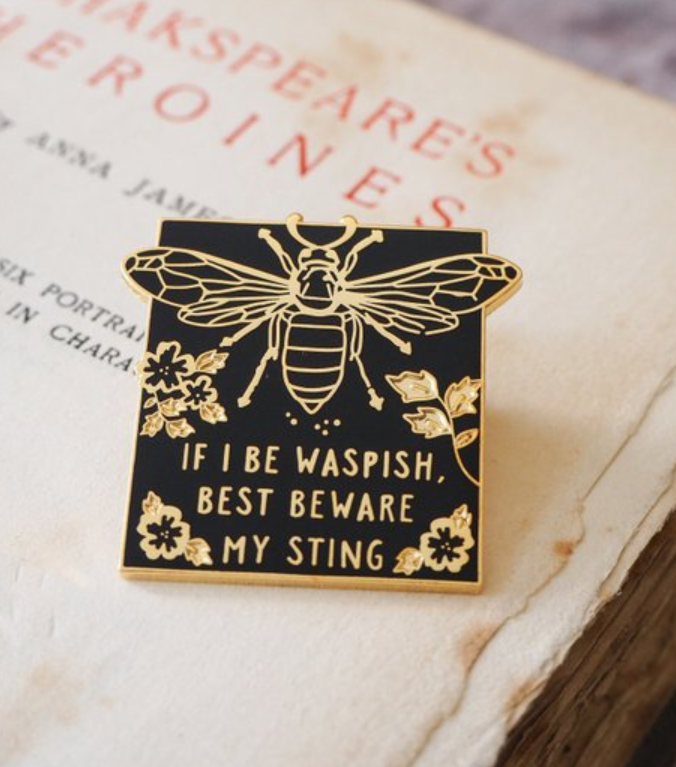 You can find enamel pins on places like Amazon or Redbubble, but I personally recommend Literary Emporium on Etsy for their elegant designs (shown above). Knock out two things at once for someone who loves coffee, tea, etc. and reading! A new mug will never not be appreciated- especially if it's book-themed. These are pretty easy to find anywhere, but this one from The Literary Gift Company featuring the names of cats from different books and poems is too cute not to share. 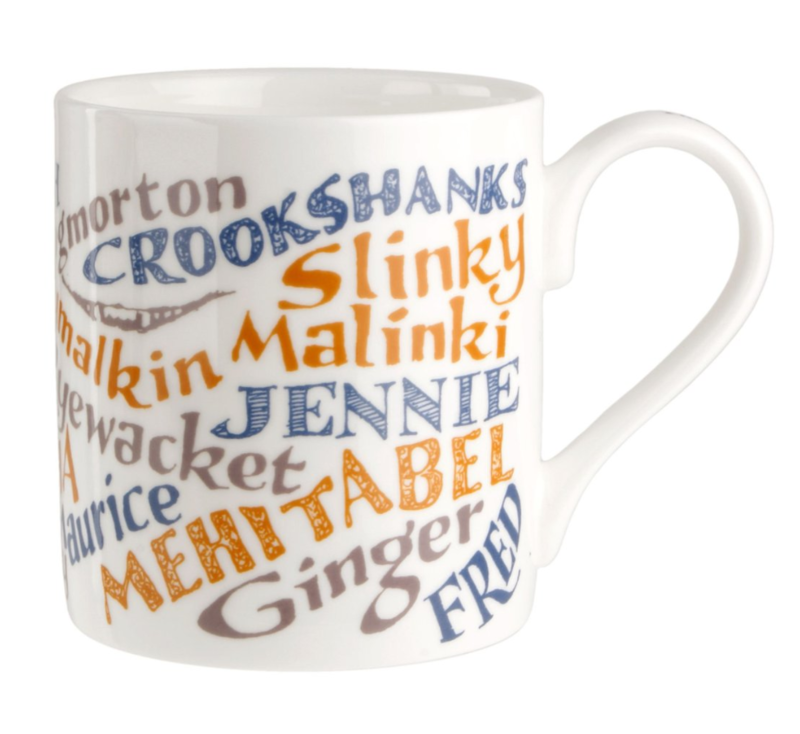 This is also a good website in general for other bookish gifts. This may not be for everyone, but I personally like to write about books after I read them. Mainly so I can remember what is going on if I ever pick up a sequel to something I read, but also because you tend to forget the little things that you thought and felt after reading a book. If you or your friends do something like this, then a new journal would make an inexpensive and thoughtful gift. If not, I highly recommend you start or recommend that they start. Soooo satisfying flipping back through all of the entries and reflecting on things you may have forgotten. 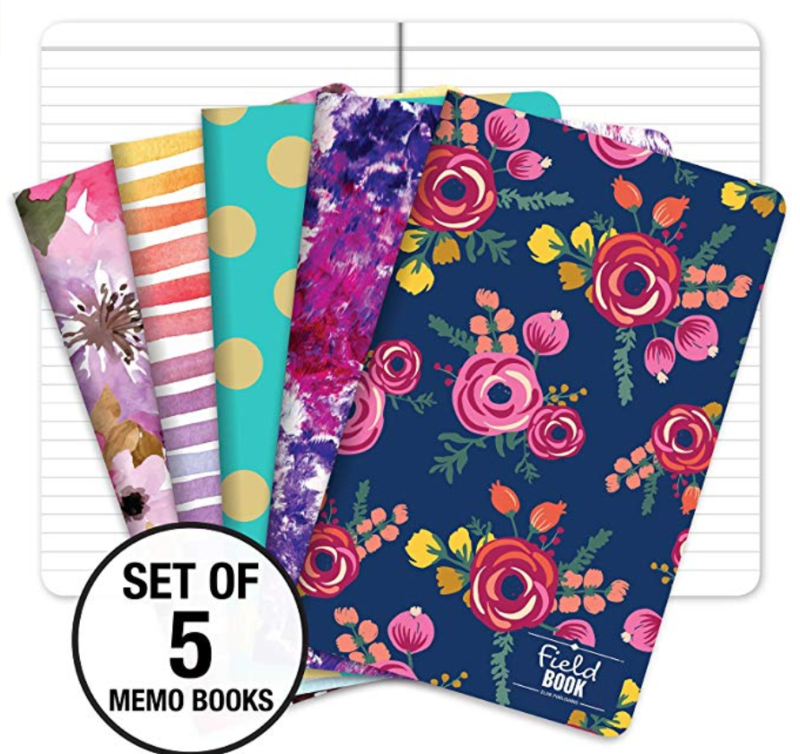 I love these small pocket notebooks but obviously, you have a million choices out there. 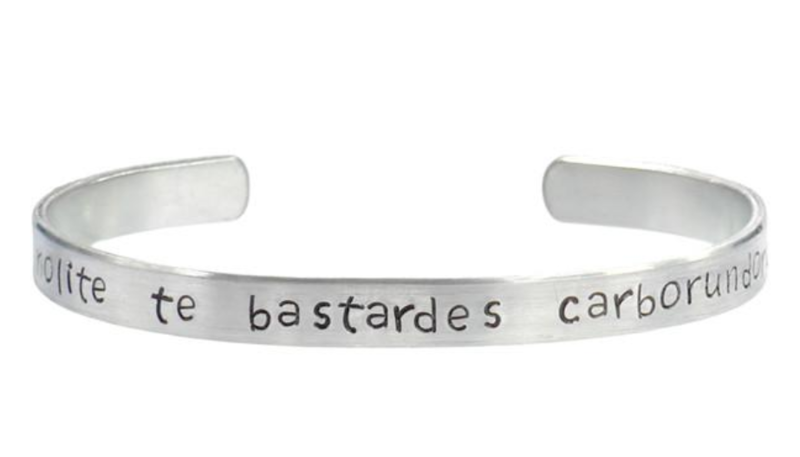 A little reminder to not let the bastards grind you down- in bracelet form! We all have our favorite necklace, bracelet, earrings, etc., so why not find yourself or a friend a new favorite piece of jewelry that can also show off a favorite book? There are multitudes of options on Amazon, various Etsy shops, and other online retailers that might have something perfect for you or your gift recipient. Check out this list from Buzzfeed with all kinds of jewelry from all kinds of places. If all else fails, a shiny new gift card to the closest bookstore can never hurt. Maybe throw in some candy with it. Still a pretty solid gift in most any bookworm's opinion.